Featuring Moroccan Rhassoul Clay: a mineral rich clay that balances skin by drawing out oil and impurities from deep within, while at the same time nourishing, soothing, and firming. Rhassoul is known to reduce flakiness, ease redness, and improve skin clarity and texture on ALL skin types. 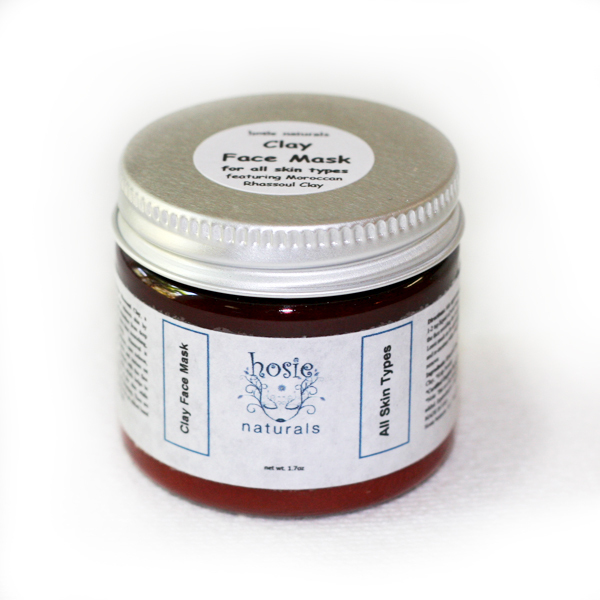 We blended this fine clay with the mild Kaolin, which helps to stimulate circulation to the skin while gently exfoliating and cleansing. Then we added a splash of seaweed powder for an added burst of vitamins and minerals. *This is a dry mask with no fillers added. Equivalent to ~6oz liquid mask. Mix approximately 1 tsp liquid *of your choice and apply to the face, avoiding the eyes and mouth. Leave mask on for approximatey 15 minutes. Wet a cloth with warm water and place over face to re-moisten clay and wipe off. *Some of our favorite liquids to use are Apple Cider Vingegar, yogurt, and floral waters, but water works just fine.